When an employee’s religious beliefs conflict with a workplace policy, you need to consider whether a reasonable accommodation can be made without creating an undue hardship. Many times, religious accommodations present challenging issues for supervisors and HR professionals, but these five tips can help ease the struggle. When an applicant or employee first tells you that her religious beliefs won’t allow her to comply with one of your policies, don’t assume that an accommodation will be difficult or expensive. Many times, you may be able to offer an accommodation that is easy, inexpensive, and works for all involved. For example, if your grooming policy requires male employees to wear short and neatly trimmed hairstyles, and a new male employee informs you that he must keep his hair long because of his religious beliefs, you could simply allow him to tie his hair in a ponytail or to put it up under a company-approved hat. Or, if you require all employees to have a clean-shaven face as part of maintaining a sterile work environment, an employee who can’t cut or trim his beard because of his religion may be able to wear a face mask or hair net over his beard as an accommodation. Different religions have varied restrictions or observances, so always work with the individual employee to see what accommodations are appropriate for him. Additionally, employers often fear that if they make an exception to their policies as a religious accommodation for one employee, it will open the floodgates to many more accommodation requests by other employees. Because individual religious practices vary—even among members of the same religion—you shouldn’t deny an accommodation based only on speculation that others will ask for it, too. If you are able to accommodate one, two, or 10 employees without undue hardship, you should. At some point, however, it may become an undue hardship to offer it to any additional employees. As long as you engage in an interactive dialog with each employee who requests an accommodation, and you offer accommodations that don’t create an undue hardship, you will be meeting your legal obligations. An undue hardship under Title VII of the Civil Rights Act of 1964 is easier to establish than it is under the Americans with Disabilities Act (ADA). Where the ADA defines an undue hardship as a significant burden or expense, an undue hardship under Title VII is a cost or burden on the organization that is more than de minimis, or nominal. Generally, administrative costs involved in switching an employee’s schedule or infrequent overtime pay will be seen as de minimis and, therefore, not an undue burden. But anything more than ordinary administrative costs, such as hiring additional workers, paying for frequent overtime work, or violating a collective bargaining agreement, will be more than de minimis and an undue burden. Despite this lower threshold, be careful about rejecting all religious accommodations on undue hardship grounds. Analyze each request for a potential undue hardship. And because business conditions and policies change, you shouldn’t assume that because an undue hardship prevented a religious accommodation in the past, it will continue to do so. If you ultimately decide not to accommodate a religious belief, be certain to document your analysis, including all accommodations considered and the costs and operational burdens associated with each one. Otherwise, you could leave yourself vulnerable to a discrimination charge. One of the trickiest accommodation issues arises when an employee (or group of employees) can’t work certain days or hours because of religious beliefs. For example, Seventh Day Adventists who honor the Sabbath may need to refrain from working every Saturday (from sundown on Friday until sundown on Saturday). Or perhaps a Jewish employee needs multiple days off to observe the High Holidays. Do you need to schedule around these restrictions? Can you require the employee to swap with another employee or use vacation time to get the time off? What if she has exhausted all of her time off? First, remember that an employee isn’t entitled to demand a particular accommodation. You don’t have to honor her preferred accommodation as long as you offer another reasonable accommodation that will allow her to observe her religious obligations. Generally, this means that you may require an employee to use vacation or other paid time off as an accommodation to avoid a scheduling conflict with a religious obligation. Or you may allow her to trade shifts with other employees or work additional shifts on a different day to make up for time missed. Remember, however, that if a schedule change you agreed on results in a nonexempt employee working more than 40 hours in a workweek, you are still obligated to pay overtime. The cost of any related overtime may be taken into consideration when conducting an undue hardship analysis. Keep in mind that what is a reasonable accommodation for one employee may not be reasonable for another because of differences in job duties, departments, shifts, and other factors. If you’re able to remain flexible when work schedules conflict with religious observances, you may often be able to offer a reasonable accommodation that doesn’t unduly burden your operation. Perhaps you agree to let a female Muslim employee wear a headscarf at work—despite your policy against employees wearing any hats or other headgear—as a reasonable religious accommodation. But then you relegate her to a back office and tell her that she isn’t to have any in-person contact with your customers. Your decision to segregate the employee or treat her differently because she wears a headscarf for religious reasons could be deemed religious discrimination. 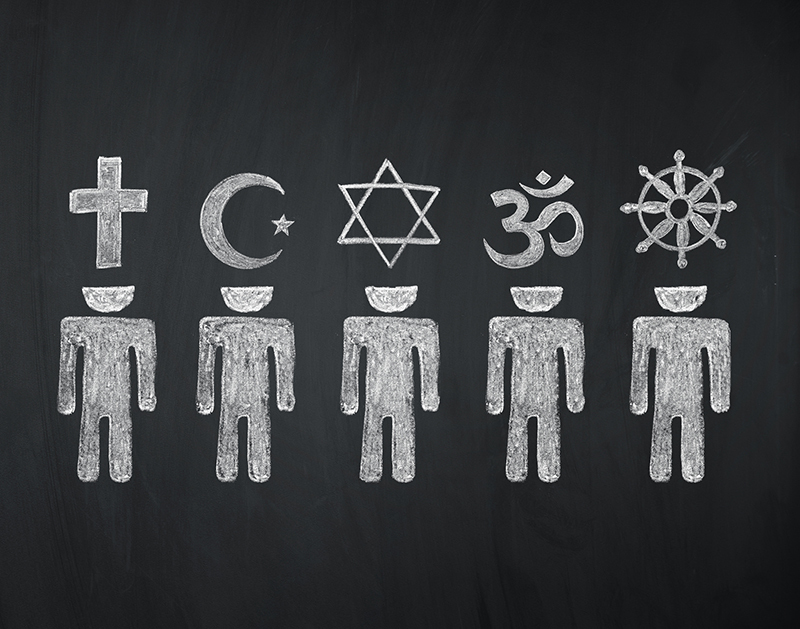 Generally, customer and coworker preferences that are based on a religious bias don’t justify failing to reasonably accommodate a worker’s religious beliefs. In rare cases, conflicts between an employer’s public image and accommodating religious dress or grooming beliefs can result in an undue hardship, but they typically are very limited situations in which the employer can show the need for uniformity of appearance. Again, each situation must be addressed on a case-by-case basis, so don’t make any blanket policies that rule out religious accommodations in all cases. If an employee has requested a religious accommodation, be careful about any subsequent discipline or termination decisions. In many cases, employers handle the accommodation request properly, but then a supervisor harasses, demotes, fails to give a pay raise to, or finds fault with the employee for no legitimate business reason. Title VII prohibits retaliation based on an employee engaging in protected activity, and the Equal Employment Opportunity Commission (EEOC) takes the position that requesting a religious accommodation is protected activity. Consequently, remind supervisors and managers not to retaliate against an employee who has requested a religious accommodation. However, avoiding retaliation doesn’t mean that you can’t hold your employees to the same performance standards and work rules. If an employee has violated your employment policies or isn’t performing up to par, follow your normal procedures for imposing discipline. Be sure to document every step so that if an allegation of retaliation arises, you have sufficient written support for your employment decisions. As with many tricky workplace issues, religious accommodations require an open dialog with the requesting employee and a case-by-case analysis regarding what will work for your operation. If the request will result in more than a de minimis burden or cost on your organization, you may be able to deny providing it, but be sure to consider the wide range of possible accommodations before relying on an undue hardship defense. Research has shown that employers that are willing to provide religious accommodations benefit tremendously and can actually improve their bottom lines. If you’re in doubt, it’s always a good idea to consult with experienced employment counsel. Steven T. Collis specializes in employment law and also chairs Holland & Hart‘s Religious Institutions and First Amendment Practice Group. Collis is also an editor of Colorado Employment Law Letter and may be contacted at stcollis@hollandhart.com.